Betty Norman grew up Elizabeth Mary Mooney in the small town of Farmington, New Hampshire. She began her singing career when she was tall enough to use the doorknob as a microphone. Her mother would listen to Don McNeil's "The Breakfast Club," on the radio and Betty would sing along into her doorknob mic dreaming of being on that program one day. Her mother, Geneva, who was the organist at their local church, and her father, Francis, a baritone in the choir, encouraged Betty to sing solos at the Easter and Christmas services. During High School, she rode the bus once a week to take voice lessons in Dover, New Hampshire. It was not long before Betty was the lead singer in the Farmington High School operettas and special events. 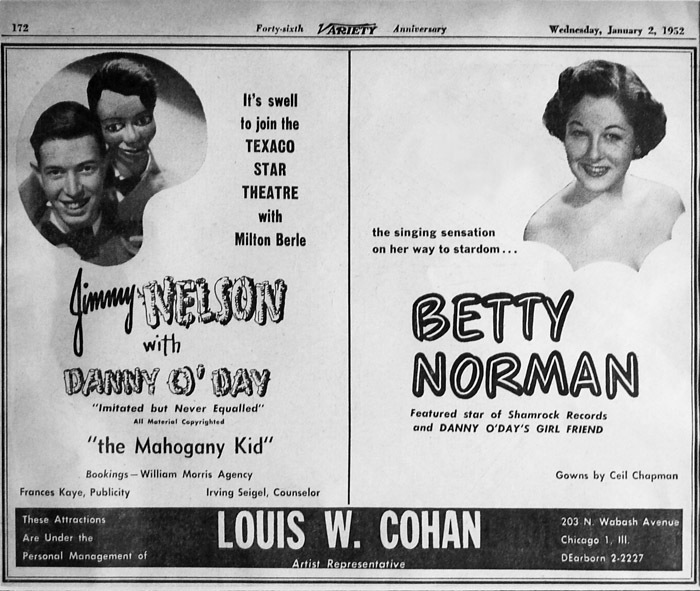 After High School with her parents' support, Betty enrolled at Leland Powers School of Theater in Boston and also attended the Phil Saltman School of Music. 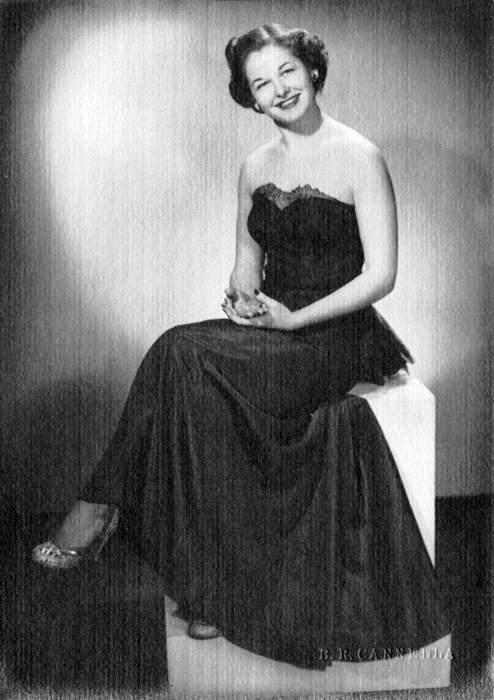 When Betty graduated from Leland Powers, she got her firstprofessional singing job with Bob Hardy's Band at the Lenox Hotel in Boston. 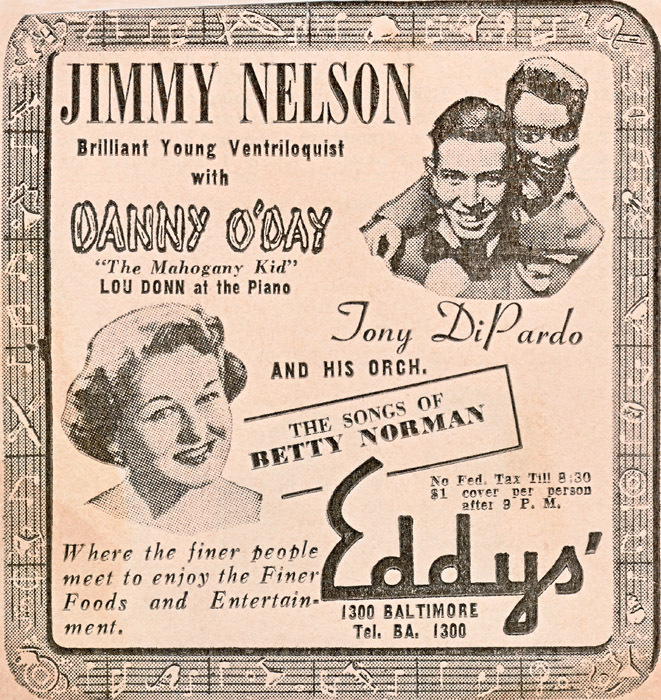 Following her stint with the Bob Hardy Band, Betty joined the Eddy O'Hearn Orchestra in Baltimore, sang with Al Navarro's Band in Washington D.C. and Baltimore, and then with Don Jones's Band in Mamaroneck, New York. It was while singing with the Don Jones's Band in 1947 that she had the opportunity to audition for girl vocalist with George Olsen's band in New York City. George Olsen was very famous in the 20's and 30's, appearing on Broadway in such productions as Ziegfeld Follies of 1924 and Eddie Cantor's hit Wooopee! in 1930, recorded many albums and was a master showman. Betty landed the job with this legendary bandleader and her career took off. 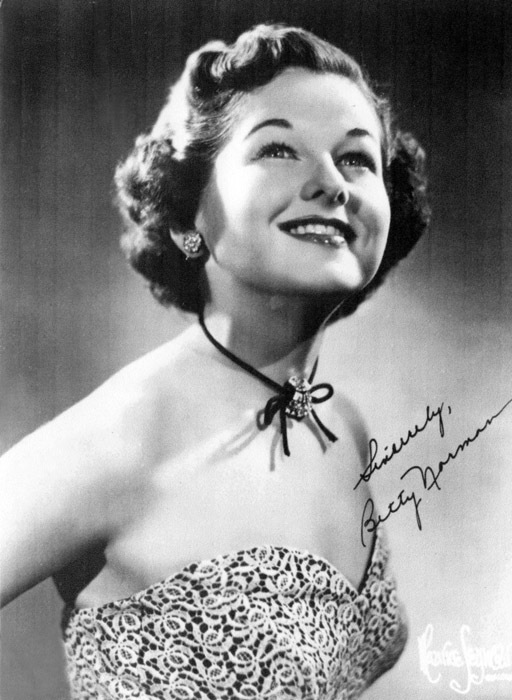 It was bandleader George Olsen who changed her name to Betty Norman. He believed that she should have a stage name that did not identify with any specific nationality, was easy to remember, would fit nicely on a marquee or poster and had a pleasant sound. The young Elizabeth Mary Mooney found out she had a stage name when she headed out from New York City to Chicago to join the George Olsen band. She stepped off the train, walked into the Sherman Hotel, met George and was promptly introduced to a group of "song pluggers" as Betty Norman. She looked around thinking someone else had walked in with her. It was the last time Betty ever looked back. 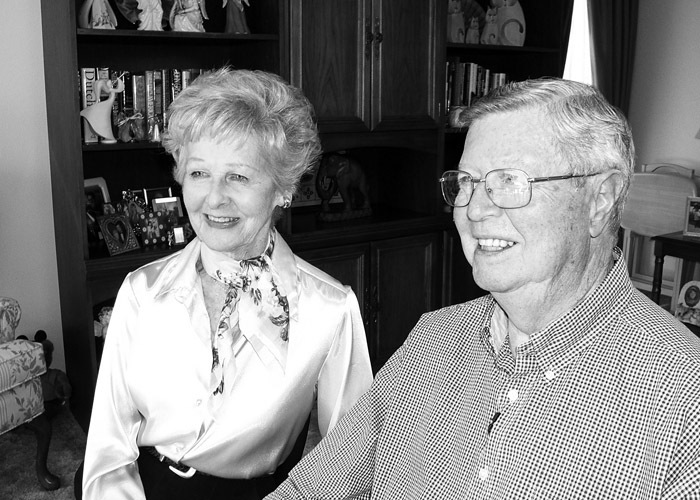 They played the finest hotels and ballrooms all across the country where George mentored her. 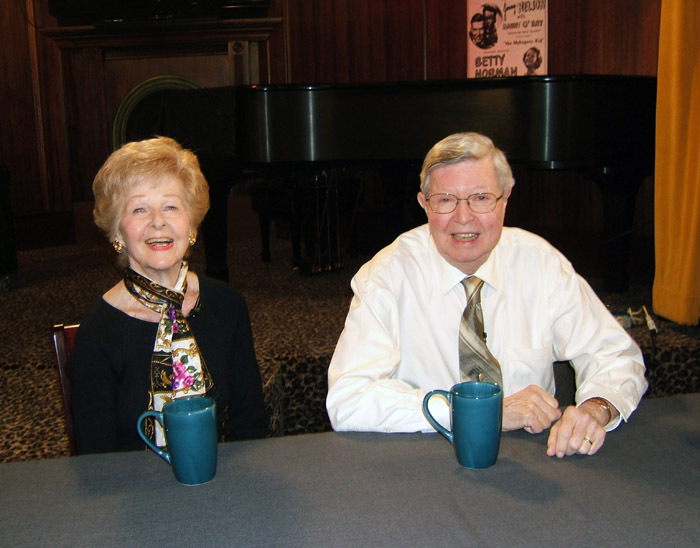 He helped her do pre-show bits with Betty appearing in a five or ten minute segment. During many of the orchestra's engagements, they would play on late night broadcasts for national radio. Although it was difficult to get home, Betty never lost touch with her roots in New Hampshire. When she returned there, Betty and her mother would go to their empty church, where she would sing while her mother played the old wonderful hymns on the organ. These were warm and wonderful times that she'd never forget. A lot of the George Olsen band's gigs took them to the Midwest, a different time zone from New Hampshire, so Betty's Mom would set her alarm clock for whenever they aired, and no matter the time, would get up and listen. The band played the then famous Chicago Ballrooms – the Aragon and the Trianon – as well as being a favorite at the beautiful Edgewater Beach Hotel, and also did bus tours throughout the Midwest. In addition, the George Olsen Band recorded on Majestic Records with Betty. The orchestra disbanded in 1950 after their last performance at the Capitol Theater in New York City. 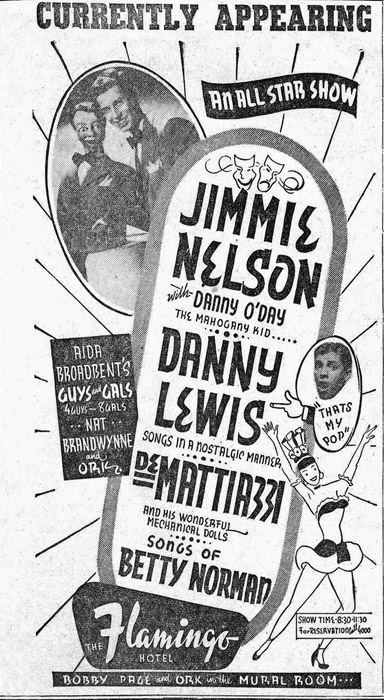 The newly retired George Olsen became Betty's Manager and began to book her as the headliner singer/entertainer at supper clubs. 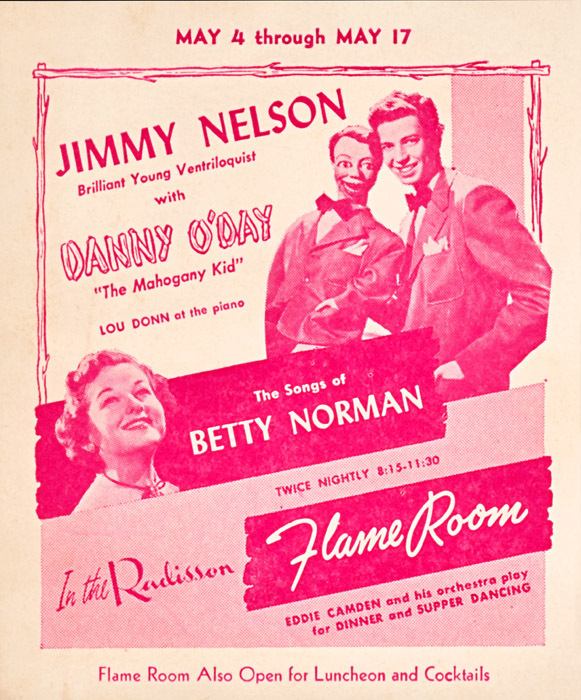 In May of 1951, she was asked to join the up and coming ventriloquist Jimmy Nelson as his opening act at the Flame Room of the Radisson Hotel in Minneapolis, MN. They clicked immediately and continued to work as a "package" in clubs throughout the country including the then new Shamrock Hotel in Houston, TX, the Riverside Hotel in Reno, the Flamingo Hotel in Las Vegas, and Radio City Music Hall. 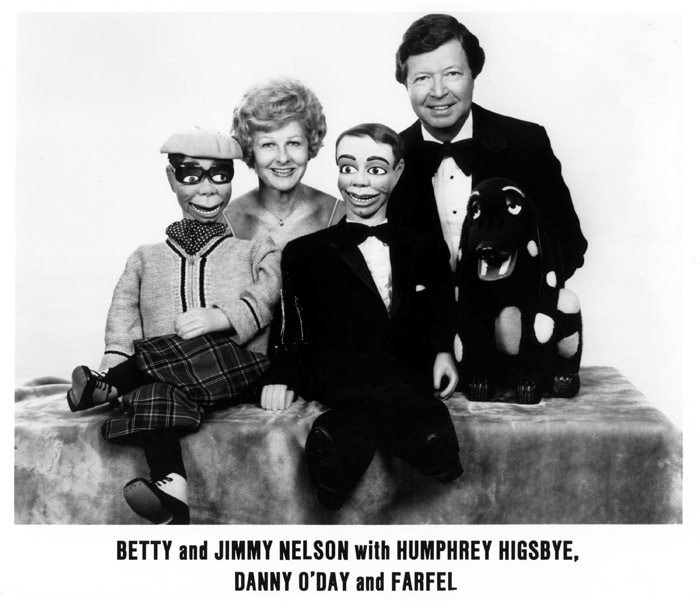 Betty also appeared several times with Jimmy onThe Ed Sullivan Show and in the Texaco commercials on The Milton Berle Show. Between bookings with Jimmy Nelson, she was chosen to be the girl singer on Don McNeil's The Breakfast Club, her childhood dream come true. One of Betty's favorite bookings was The Roosevelt Hotel in New Orleans. She had worked there with the George Olsen band and later was booked as a featured act in the lovely Blue Room. She even rode on a float in the Mardi Gras parade. 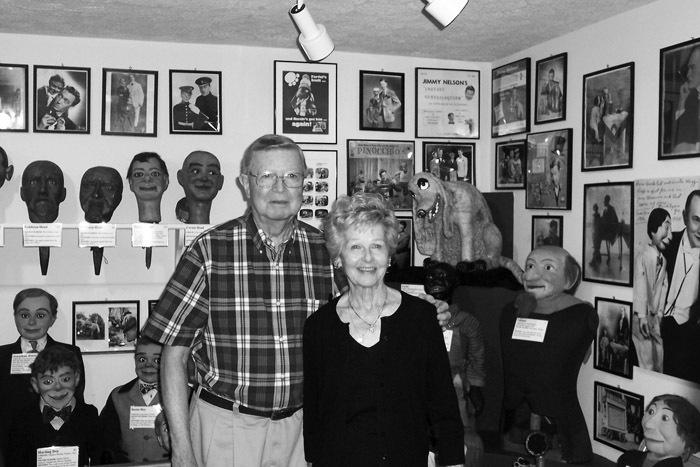 Their amazing professional partnership became a personal one as well, when Jimmy and Betty were married in April 1956. While bringing up their family, Betty did voice over commercials in New York. One of them, the "Diamond Crystal Salt Song" won an award from the Advertising Council. After the family moved to Florida, Betty coached voice in a studio in their home where many of her students went on to singing careers.